A gorgeous and sobering fable about systemic misogyny, "The Breadwinner" cements Ireland’s Cartoon Saloon as an animation powerhouse. More imaginative than “Coco,” more soulful than “Moana,” more everything than “Despicable Me 3,” Nora Twomey’s “The Breadwinner” cements Ireland’s Cartoon Saloon as an animation powerhouse worth mentioning alongside the likes of Pixar, Laika, and the great Studio Ghibli. A deeply anguished story that’s told with the same vivid style as Cartoon Saloon’s two previous features, “The Secret of Kells” and “Song of the Sea,” “The Breadwinner” triumphs with a sense of emotional sobriety that strikes far deeper than anything that passes for children’s entertainment in this part of the world — it may be aimed at (older) kids, but it’s certain to hit their parents twice as hard. Executive produced by Angelina Jolie and adapted from Deborah Ellis’ 2000 novel of the same name, “The Breadwinner” is immediately set apart by its setting. The film begins in Taliban-controlled Kabul, where an 11-year-old girl named Parvana (stoic newcomer Saara Chaudry) sits on the dirt with her father as he sells his wares. Although women are prohibited to be in public without being covered, Parvana is still young and invisible enough to avoid the ire of the increasingly fundamentalist male population. Be that as it may, every new customer presents a new opportunity for oppression, as the city’s gun-toting men are always eager to assert their dominance. They eye Parvana like wolves in waiting, and intimidate her kind father for defending his daughter’s innocence; her father explains to some aggressive shopper that he lost his leg while trying to defend their country in the war against the Russians, but the Taliban men don’t understand history, only erasure. Parvana, on the other hand, is steeped in her family’s rich history of storytelling; she may still be a child, but she understands the nature of violence, how it visits history in terrible cycles, taking so much from her people that they’re left with no choice but to start over. “Stories remain in our hearts even after all else is gone,” he tells Parvana, and she takes those words to heart; her father hasn’t given her much, but he’s given her this. And when the Taliban arrest him without cause, it is all that he is able to leave behind. Without a man to go into the market for them, Parvana, her older sister, her toddler brother, and their heartsick mom are left to starve. But these are resourceful, iron-willed women. There’s a profound scene in which Parvana’s mother wordlessly cuts the girl’s hair, shearing her daughter of her identity so that she can pass as a boy and buy them the naan they need to survive. “The Breadwinner” may be drawn with the softness of a coloring book, but its characters are hardened to the hilt and blessed with wills of iron. They know what has to be done. The film mines its significant power from that relationship between beauty and terror, Twomey using animation to redeem a story that would have been unbearably sad in live-action. Created with a program called TVPaint, “The Breadwinner” adds a sober dose of reality to Cartoon Saloon’s vibrant house style; the hand-drawn characters are coated with a digital sheen, resulting in an aesthetic that marries the lushness of Disney classics with the modernity of flash animation. The computer-generated elements allow the story to unfold against nearly photo-realistic backdrops, suspending the movie between fantasy and reality in much the same way as its heroine is caught between two worlds. Or three worlds, as Twomey reserves yet another look for the long passages in which Parvana tries to buoy her brother’s spirits by telling him a story about a boy who’s tormented by an evil elephant king who has spikes for tusks. For these sequences, Twomey spirits us into a splendid world full of paper cut-outs, Parvana doing her best to preserve some vital family history in a place where photographs are forbidden. These bits tend to dilute the power of a film that already gets a touch scattered once Parvana assumes her disguise, and they take us away from the film’s true protagonist for far too long, but they’re so fetching and full of life that the distraction is easy to forgive. Most importantly, this sub-plot manages to save the story from itself, arriving at its point just in time to make sense of the exasperatingly hectic finale that Twomey has invented for her adaptation. 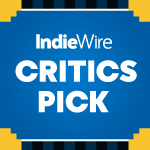 So urgent and far-reaching that it never settles into the comforts of a coming-of-age story, “The Breadwinner” is a small film about the biggest things. It’s engaging from start to finish, but Twomey — to her great credit — prioritizes stoicism over sentimentality. Parvana’s story will pull at your heart, but its beauty is evenly matched with its despair; she may triumph in one small victory over systemic misogyny, but the war is hardly won. The film can’t leave us with happiness, so it opts instead to leave us with hope, hope as stubborn as the shock of yellow flowers that grow out of the stones outside of Parvana’s home. “The Breadwinner” is now playing in theaters.